R-Drive Image supports such devices and when drives from a mdadm RAID are connected to a Windows computer, it automatically detects them and assembles mdadm RAIDs accordingly. 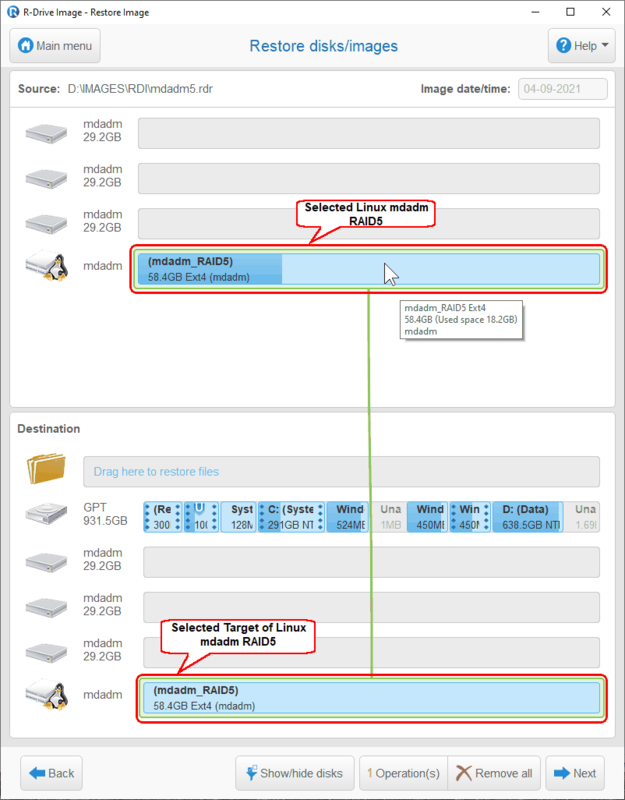 R-Drive Image displays both mdadm RAIDs and their components on the Partition Selection panel. 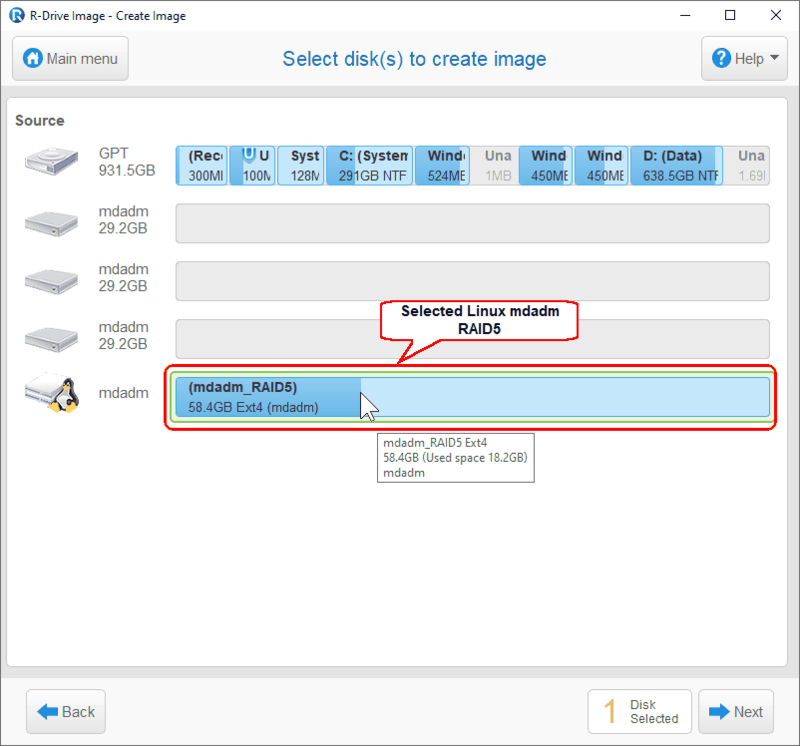 You may restore data from an image of a mdadm RAIDs with the limitations described in the Support for Various Disk Partition Schemes and File Systems section.